James Glasgow born April 30, 1828 and died June 7, 1898 He was the son of John Glasgow and Isabella Glenn . John L. Glasgow born Sept. 1853 married Mary E. James. Ann Elizabeth Glasgow born April, 1857 married George F. Stribling. James B. Glasgow born May. 1861 married Nancy Jane Denton. 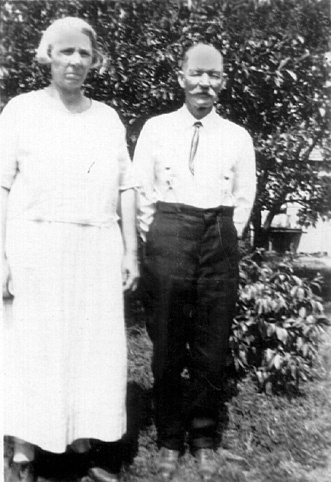 This is a photo of James Glasgow, Jr. and Nancy Jane Denton.